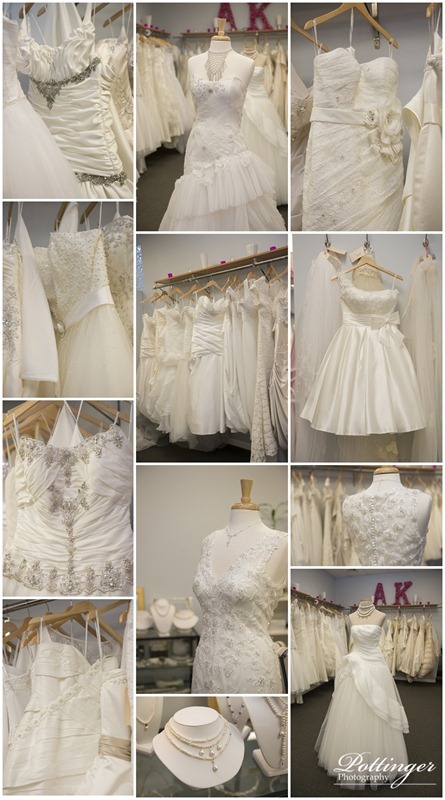 Posted on Friday, February 1st, 2013, by Brenda Pottinger under Misc..
"Yours Truly, Kelly" bridal boutique is always one of my favorite places to stop in the reading bridal district.The boutique has the largest off the Rack selection of bridal gowns. And what is new? They now offer three exclusive designer lines that a bride can order in her size and color preference. The three lines are: Coco Anais, Moonlight Bridal, and Lucca Bridal. All of the designer lines are incredibly unique in their own ways. Coco Anais is the boutique’s "couture-style" line that features a modern design aesthetic with luxurious bridal looks to appeal to a wide variety of brides. Moonlight Bridal gives every bride a luxurious high fashion look at an affordable price. Lucca Bridal is a Scandinavian design collection that is very exclusive to the entire Midwest region. The bridal designs are inspired by famous fairy tales and are made of the highest quality fabrics. The price ranges for the made to order gowns in "Yours Truly, Kelly" are from $375 – $1595! Be sure to stop in and see all of their amazing gowns!